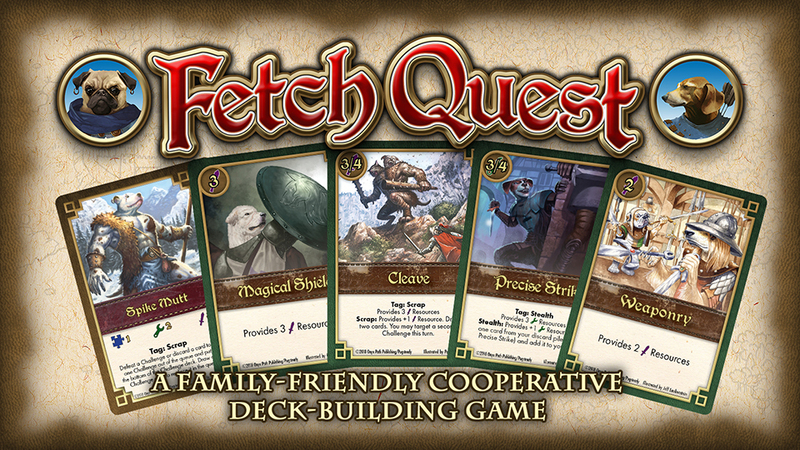 The Kickstarter for Fetch Quest is now live! Fetch Quest is a collaboration between Onyx Path Publishing and Pugsteady, the home of Eddy Webb’s various projects set in the Realms of Pugmire. With your help, we hope fund the purchase of additional art and to produce and distribute a boxed edition of this card game, allowing further exploration and interaction with the world and characters of Pugmire. Are you ready to fetch what has been left behind?